IT MIGHT be a slightly slower start to the Christmas shopping season for some businesses, but things are set to crank into gear in Bundy. From tonight until Monday some of the region's biggest retail giants will open their stores up to midnight as they look to cash in on the festive spend. Results from a recent survey by Stockland shows 70 per cent of shoppers are planning to stick to the same budget as last year, spending under $500 on gifts. Bundaberg Chamber of Commerce vice president Tim Sayre yesterday urged people to support local businesses. Mr Sayre said while forecasts of a cyclone last week had kept some people away from the region, it was hard to pinpoint why it had been a softer lead-in to the festive season. "We are hoping and expecting the Bundaberg community to come out and fully support local business before Tuesday," Mr Sayre said. "I know a lot of men in the community will probably be like me and go out and get presents at the last minute." Mr Sayre said the slow nature of business this season could be due to the day Christmas falls. "This year Christmas is on Tuesday which gives people the opportunity to get their shopping done on Saturday, Sunday and Monday," he said. "We're still involved with the 'buy local' campaign, and I would urge people to shop locally because it's local businesses that ensure we have a vibrant local community." Hinkler Central centre manager Renee Pukallus yesterday said trading had so far lived up to expectations, but things were about to get even more hectic. 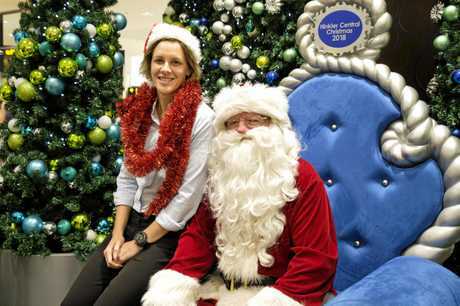 "Hinkler Central is full of festive spirit this holiday season, and we are expecting our busiest time of year to get even busier in the lead up to Christmas Day," Ms Pukallus said. She said big-name stores in the centre had extended their trading hours for last-minute shoppers and the entire centre would be open until midnight tonight. K-Mart, Coles and Woolworths will be open to midnight every night until Monday. Stockland Bundaberg centre manager Peter Cocking said the centre had experienced strong customer traffic all year but the festive season was proving to be particularly busy. "At Stockland, we truly embrace the spirit of Christmas and want to make our customers' Christmas shopping experience as enjoyable, easy and fun as possible. 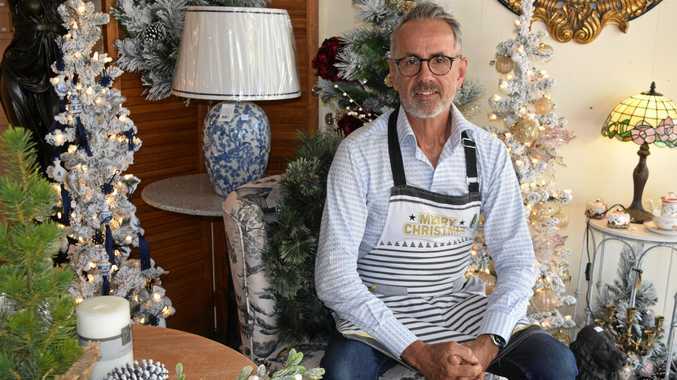 Each year we offer a number of Christmas services for customers to enjoy from Christmas displays and decorations, to photos with Santa, gift wrapping, courtesy services and even Christmas carols," he said. Stockland will have its big Christmas shopping day today, with the centre open until midnight. The centre will be open 9am-7pm tomorrow, 9am-4pm on Saturday, 9am-5.30pm on Sunday and 9am-5.30pm on Christmas Eve with extended opening hours at Big W and Woolworths. Stockland will open from 10am-5pm for Boxing Day sales. At Hinkler, the centre will be open to midnight tonight. Kmart, Coles and Woolworths will be open to midnight to Sunday and 6pm on Christmas Eve. Speciality stores will be open to 9pm tomorrow, 5pm Saturday and Sunday and 5.30pm on Christmas Eve.